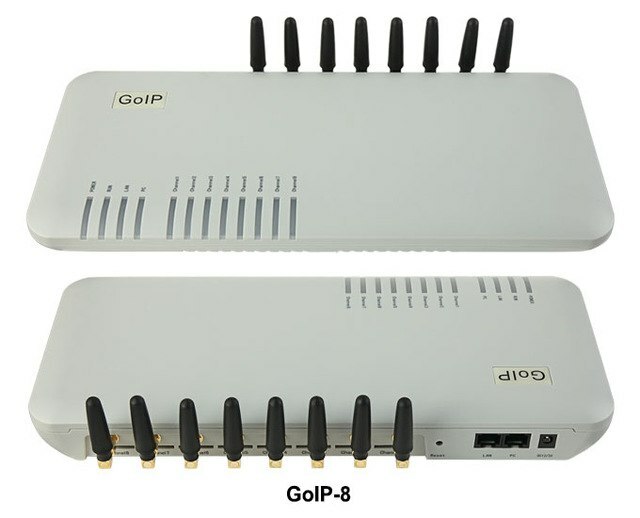 The 8-port GSM VOIP Gateway (GoIP1) bridges the GSM services and the IP networks. It is ideal for VoIP to wireless services where a fixed telephone line (PSTN) is not available or for cellphone roaming via the a VoIP network. The GoIP4 brings mobility, scalability and significant savings on long distance charges.